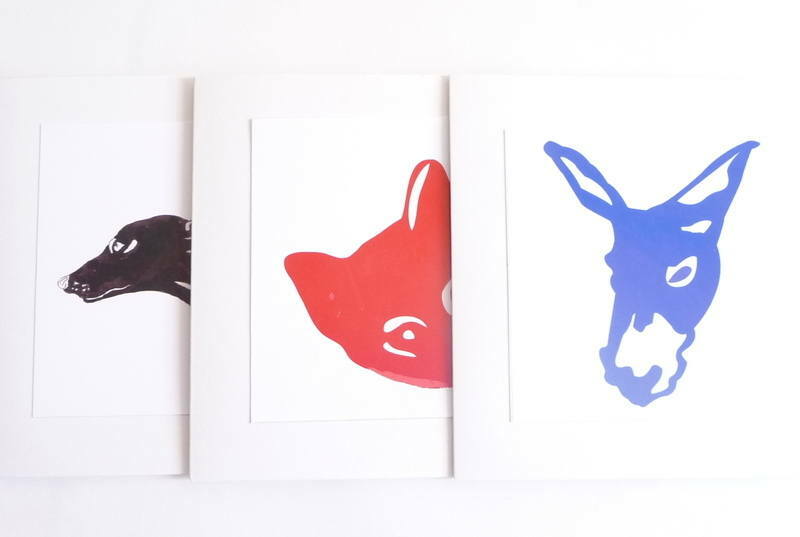 Hand-made cards featuring two digital prints each of Coco the Cat, Donkey and Skozi the Greyhound. 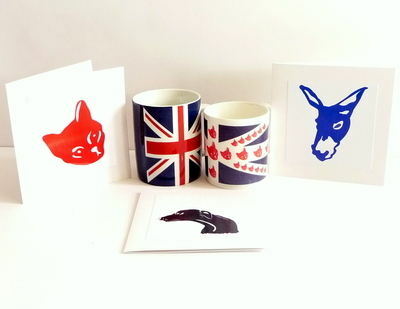 Left blank for your own message and envelopes are included. Pack of 6.